Liverpool and pool tables have a long relationship, one which continues to this very day. 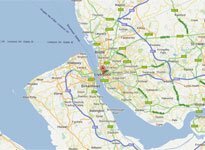 Many of the factories which make some of the most recognizable slate bed pool tables, as well as the world-famous Peradon pool & snooker cue manufacturers are all based in Liverpool. This means that if you live in Liverpool and are looking for a pool table, you are living in the right place! The proximity to the manufacturing locations makes it easy for us to get a slate bed pool table to you quicker than many other places in the UK! Our delivery and install teams are in Liverpool almost daily and as such can get your table to you as soon as possible. Our boxed games tables can also be with you within 48 hours, stock allowing. Tony wanted a great value pool table, but did have a couple of restrictions in terms of getting the table to the room of his choice – his corridor had what can only be described as a ‘kink’. After speaking to one of our sales advisers and measuring his corridor, we recommended Tony purchase the slimline pool table. The slimline is not only great value, but it has been specifically designed to have a slimmer body, making it easier to fit into tighter spaces. However the slimline is still manufactured to the same standards as any other slate bed pool table. Jenny was looking for a great value pool table for her twin children’s birthday. 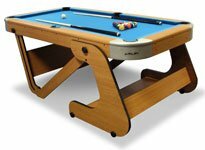 She trusted the Riley brand, and was looking for a folding pool table, to enable the kids to play in the lounge or outside depending on the weather. For that reason the RPT-6F pool table really fitted the bill! This table features a practical vertical folding leg system making it super-easy to pack up when not in use. Not only that but this table was with Jenny within a few days of her order, and was hidden in the garage by the delivery team. 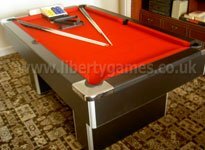 Liberty Games has one of the largest range of pool tables in the UK, all of which are able to be delivered to Liverpool, and most of which within a week or two – with many within 48 hours. Why not take a look at our entire range of pool tables to see what kind of table would suit you, and of course if you have any questions please call the team free on 0800 612 8180.